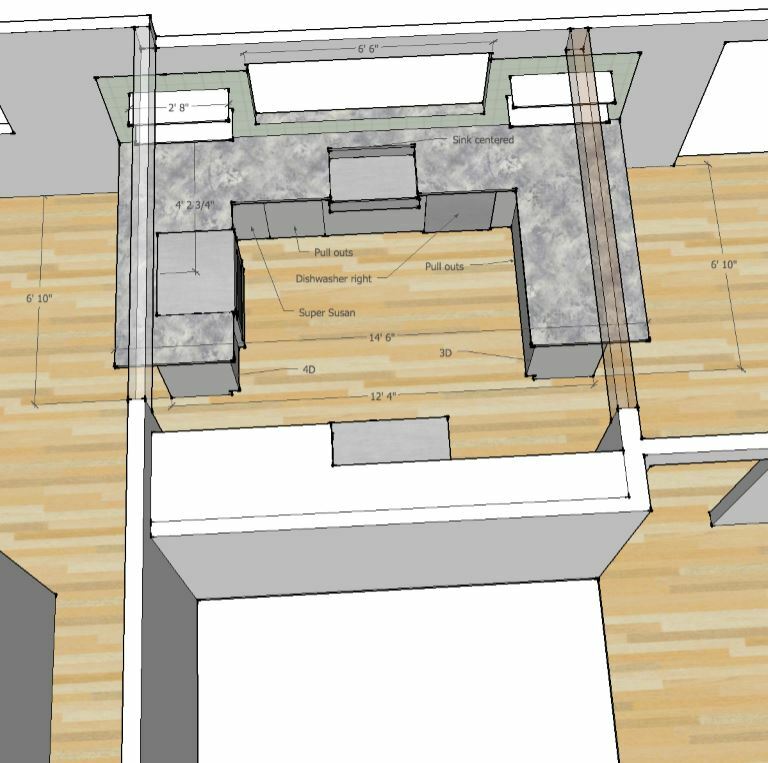 Castile Construction is a local Kitchen Remodeling Contractor. 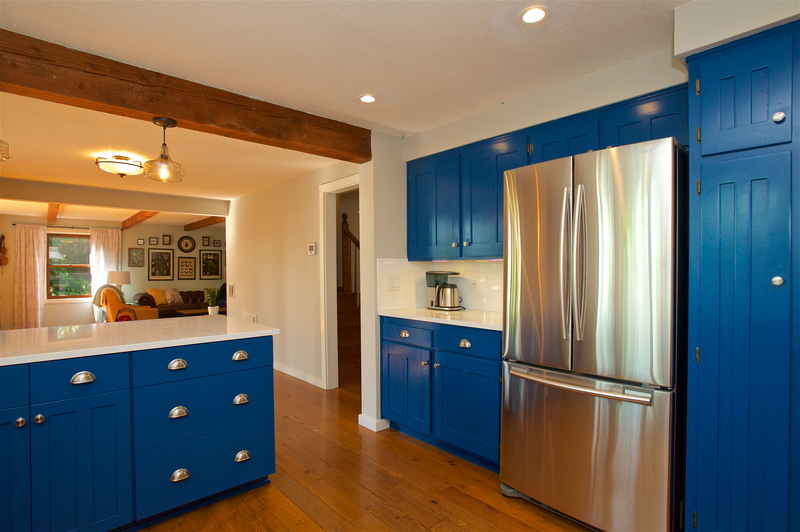 On this page we introduce a recent Eugene Kitchen Remodeling project we finished. 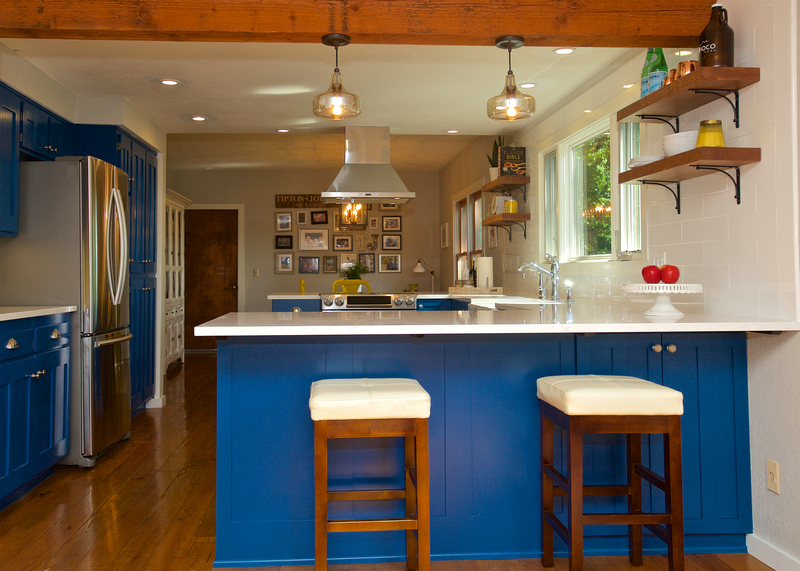 This kitchen perfectly fits the friendly, sweet and eclectic personalities of our Eugene clients! 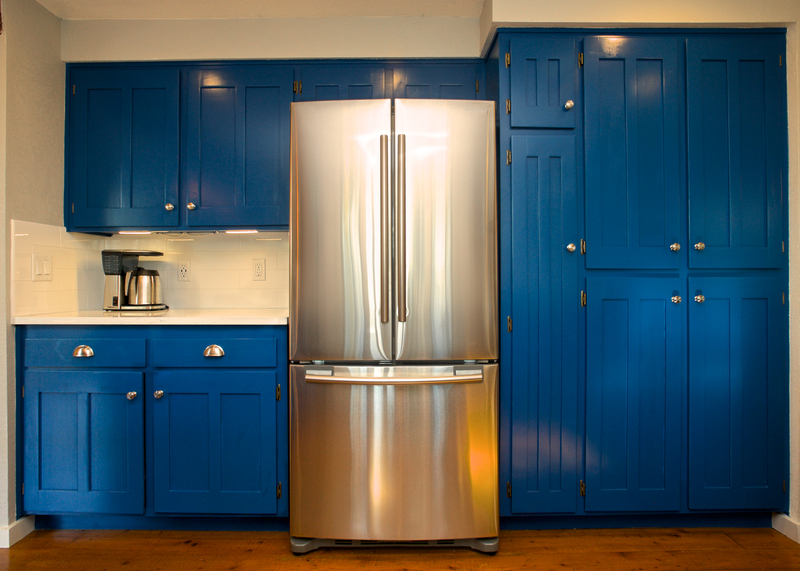 They went with a bold blue color for their cabinets and pantry which compliments the classic white subway tile backsplash and stainless steel appliances. After removing the wall behind the stove, we installed a new slide-in glass top range and island range hood to open their kitchen up, allowing more space to accommodate friends and family. Above the new “Breakfast bar” are beautiful new pendant lights adding a touch of ambience. A porcelain farm sink with chrome fixture were installed as well as custom floating shelves. 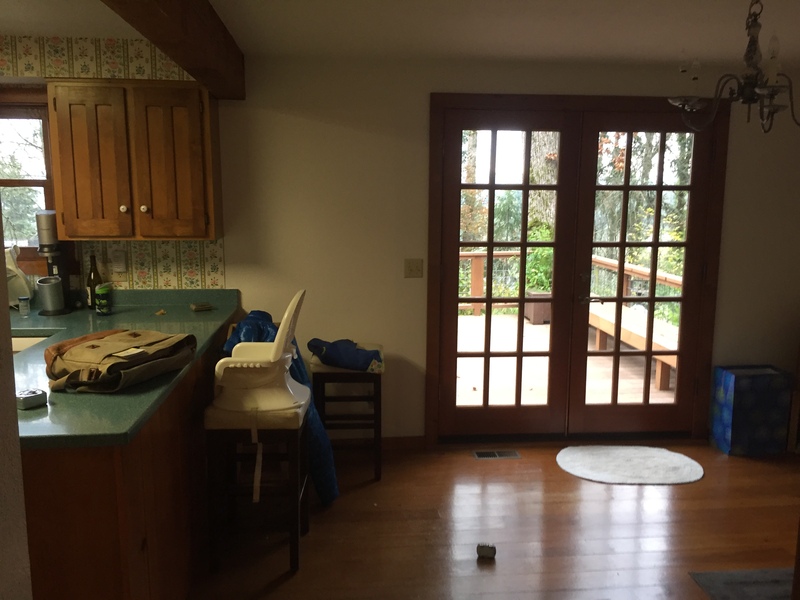 Sometimes it is hard to imagine the finished product when you are starting out with a design, so here is what the kitchen looked like before Castile Construction worked their magic. Now you can see just how astonishing this kitchen makeover is after our design process helped these clients realize their dream! Notice in contrast how open and bright this kitchen has now become! 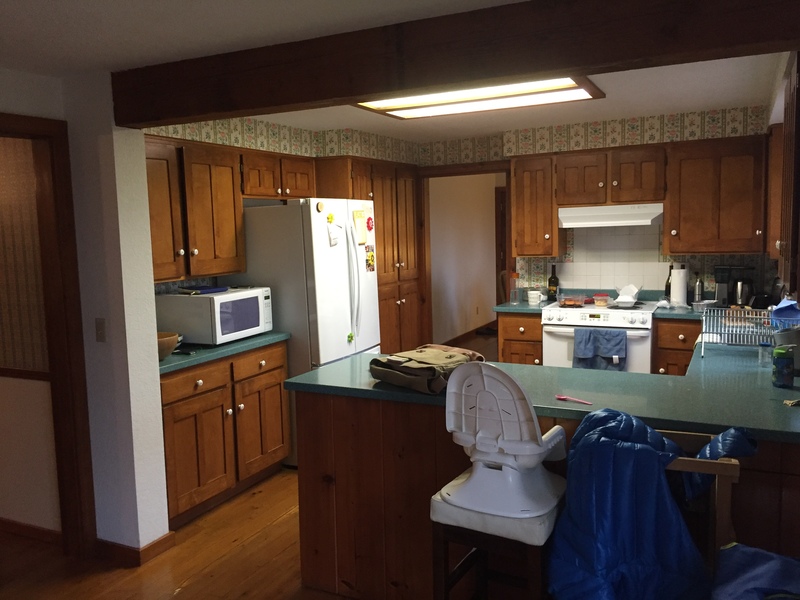 This kitchen was due for a complete makeover from its former dark, cramped feel. Now it is a stunning showpiece of the home. The neighbors loved it so much they came to us for help with THEIR home remodel project! Please check out our gallery for more photos of this kitchen. We hope to inspire you to dream big on your next kitchen remodel. Contact Castile today if we can help make your dreams come true!